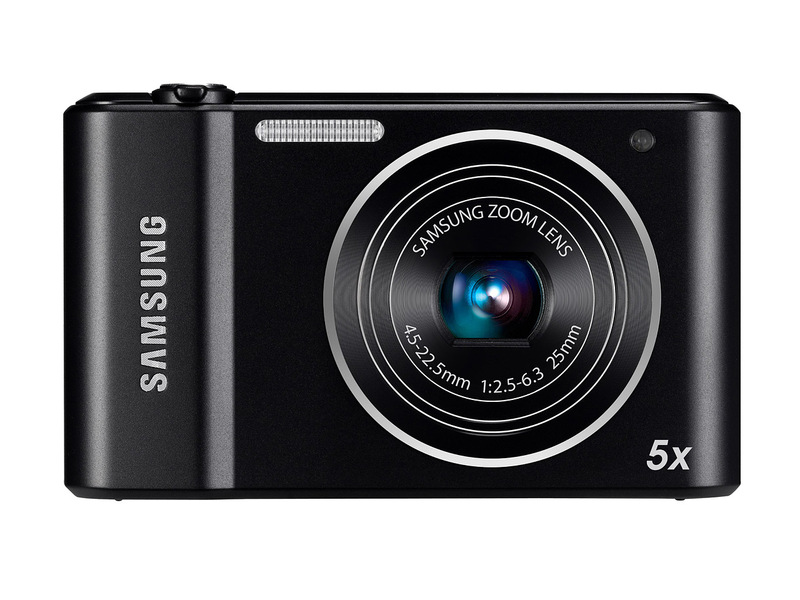 Pre-CES: Samsung has unveiled the ST76 and ST66 5x zoom budget compact cameras. Both feature 25-125mm equivalent lenses that start at an impressively bright F2.5 maximum aperture (before settling down to a rather less note-worthy F6.3 at the long end of the zoom). Both also make use of 16MP CCD sensors, giving 720p video, and feature 2.7" LCDs. The ST76 adds optical image stabilization and an extra $10 to the asking price. Las Vegas – Jan 9, 2012 – Samsung Electronics Co., Ltd, a global leader in digital media and digital convergence technologies, announced today the launch of its latest ST range compact cameras: the 16.1 Megapixel ST76 and ST66. Beautifully-styled yet powerful, the range boasts sleek, modern designs that deliver flawless images, while a host of fun features help inject maximum creativity into everyday shots. The elegant new brushed-metal designs of the ST76 and ST66 give the range a classic, premium look that conveys a refined sense of style. All ST devices are compact enough to fit into any pocket and be taken anywhere to capture spontaneous moments, whether at the club, the beach or just spending time with friends. Each model is available in a range of vibrant and trendy colors to suit every personality with five different color versions of the ST76 and ST66. Aided by the optical image stabilization available on the ST76, clear and steady images can now be achieved by any photographer, regardless of experience. Even when the light begins to dim, there is no reason to slow down. The F/2.5, 25mm wide angle bright lens available on both models is ideal for low-light shooting, thanks to its superior ability to capture light and therefore clear shots in the dark. 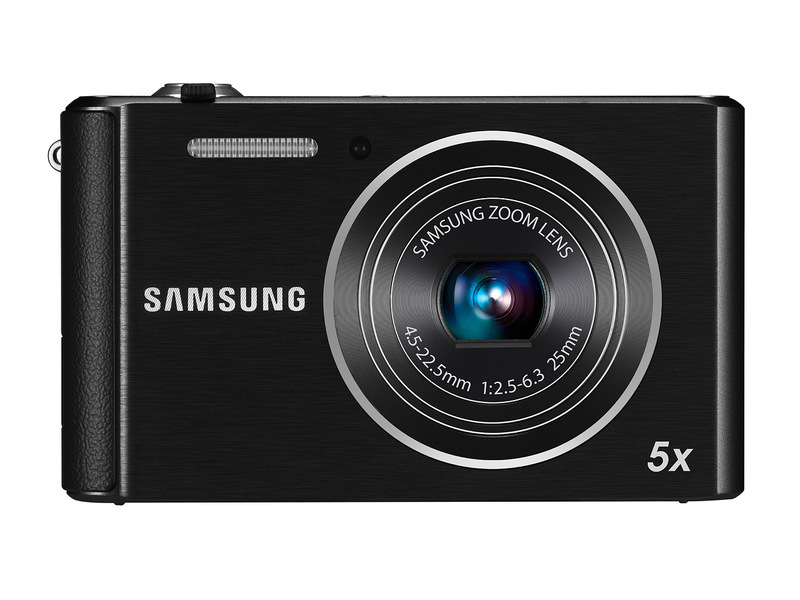 The 5x optical zoom on each model helps ensure that detail isn’t lost when zooming in for a close-up. All captured on a 16 Megapixel CCD sensor, the ST range means that brilliantly clear images can be taken anywhere and in style. Both the ST76 and ST66 include 720p HD Movie Recording at 30fps, so users can capture a priceless scene in quality that they will be proud to share later with friends and family. Live Panorama, featured on each of the new ST models, allows users the ability to capture even more of the action, facilitating wide panoramic shots, from scenic mountain peaks to large groups of friends. The Live Panorama feature allows the easy capture of large scenes by simply holding down the shutter button and sweeping the camera across the scene. Users can even preview the whole scene they’ve just captured via the LCD screen. Smart Auto 2.0, available on all the new models in the ST series, identifies and automatically selects the most appropriate of its scene modes to provide users with the best possible result every time. From a fireworks display to a dimly-lit party, Smart Auto 2.0,’s scene detection technology identifies the shooting conditions and automatically tailors the settings to help achieve standout results. For when one picture just isn’t enough, the Picture-in-Picture feature lets users insert one image into another — take one background shot, select the area to erase and then frame up your second shot in the space left behind. This can be anything from a friend’s face appearing in the middle of a plate to inserting a profile picture onto Mount Rushmore! Finally, users can also bend, stretch, and warp pictures of their friends and family for big laughs — with the Funny Face feature users can simply press the 5-direction key to enlarge heads or noses, or create hilarious distortions. And when the camera is moved, Face Tracking preserves the funny looks. Visit Samsung’s booth to experience this future technology firsthand. Samsung’s product line will be displayed January 10-13 at booth #12004 in the Central Hall of the Las Vegas Convention Center. Full details, video content and product images are available at the Samsung microsite at: www.samsungces.com. The press conference will also be streamed live from: www.samsungces.com or www.global.samsungtomorrow.com. Beware.......the Samsung st76 DOES NOT have optical image stabilization. I upgraded my st 66 to a 76 to get ois and it was not included.